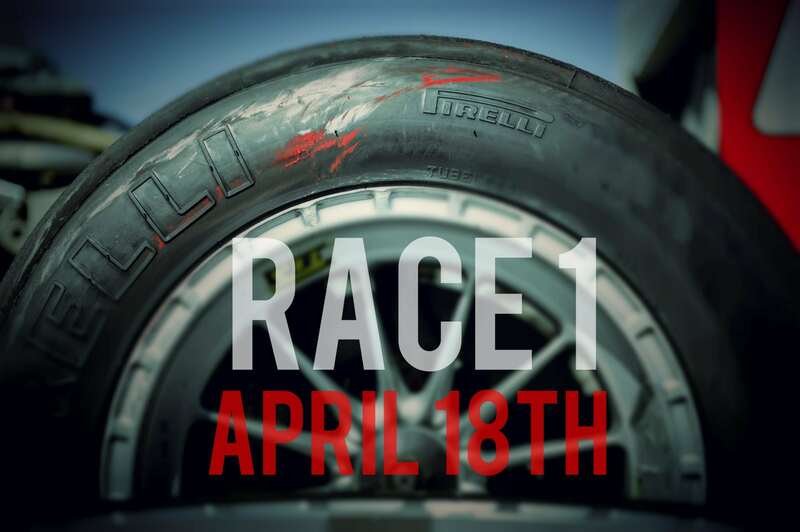 Another day, another race in the battle for the Simraceway Championship crown! Building on his great run to the top of the podium in race 1, Peter Ludwig secured his first pole position of the 14-race season with an impressive series of only three timed laps, leaving the rest of the field to try and chase down his benchmark time. Brian Frank came closest, but still fell 0.17 seconds shy, meaning he would line up on the outside of row 1. Next up was Doug Tuttle, John Jastremski, and John Schauerman, with Argentine Roy Block’s improved pace seeing him in P6. Another driver showing great progress was Russian driver Anatoly Pogorelov, who lined up in 8th. Click here to read a full race report and view the race gallery and finishing positions. 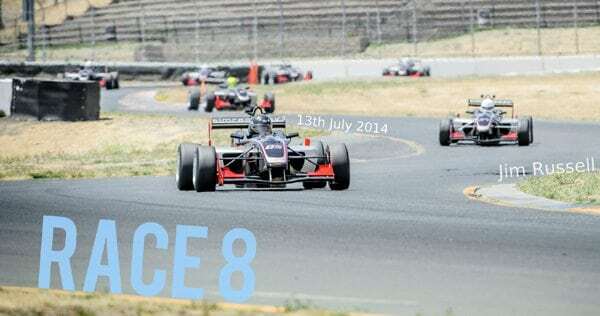 The sun shone as the clock ticked down to the first race of the newly-renamed 2015 Simraceway F3 Summer Series, with a full field of old and new competitors looking to make some early gains for the run to the Simraceway Championship. Qualifying saw former race winner John Jastremski on pole, with experienced new boy Peter Ludwig showing some fantastic pace to line up alongside him at the front of the grid. On the second row, 2014-15 Winter Series champ Brian Frank claimed the inside with John “don’t squeeze” Schauerman outside him. 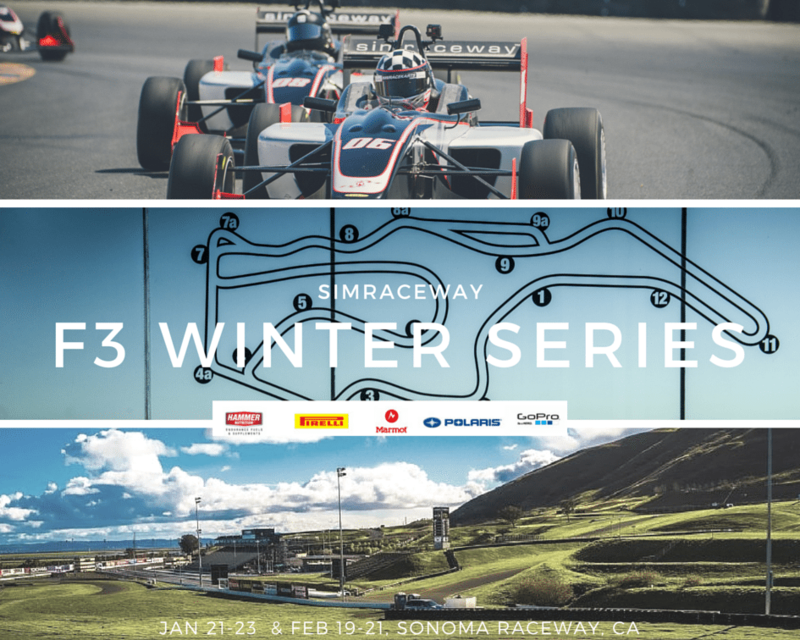 After a brief break from racing following the climax of the inaugural F3 Winter Series, April 18 sees the newly-renamed Simraceway F3 Summer Series get under way. What’s more, the prestigious event, reintroduced last year after a long hiatus, will feature more races and visit more tracks than ever before. 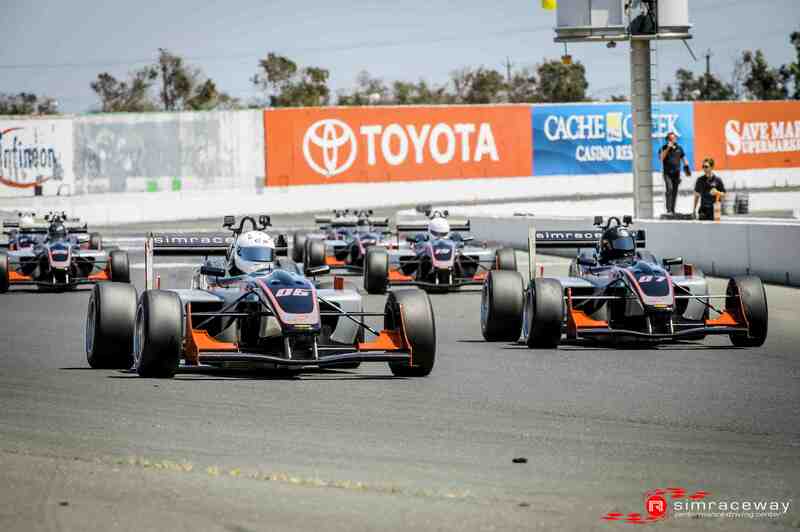 After the successful expansion of the Winter Series to Mazda Raceway Laguna Seca, this summer’s championship will be revisiting the storied Monterey circuit for two rounds in May, as well as taking two races to Southern California’s Buttonwillow Raceway Park in July. 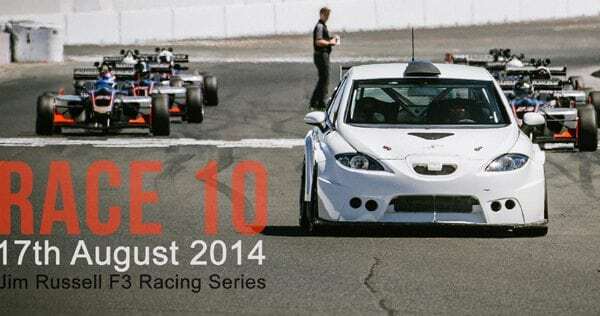 With our home base of Sonoma Raceway retaining its allocation of ten events, that adds up to a total of 14 rounds–four more than last summer’s series–for the contestants to look forward to. But how will it all go down this time around? Will the “Texan Tornado” Chase Murray, beaten to the Winter Series drivers’ title on the last weekend of the season, get back to winning ways and retain his Summer Series crown? Will the ever-consistent Brian Frank need to make even more room on his mantelpiece after beating Murray to the Winter title? Or will another of the series’ full field of drivers push themselves into the limelight? 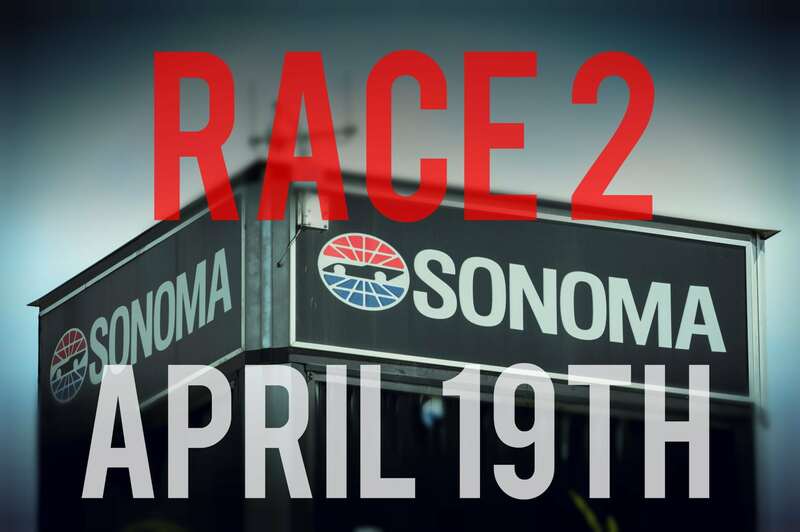 We’re looking forward to watching the six month-long battle, with the first shots fired at Sonoma Raceway on April 18. Stay tuned to follow the series’ progress. 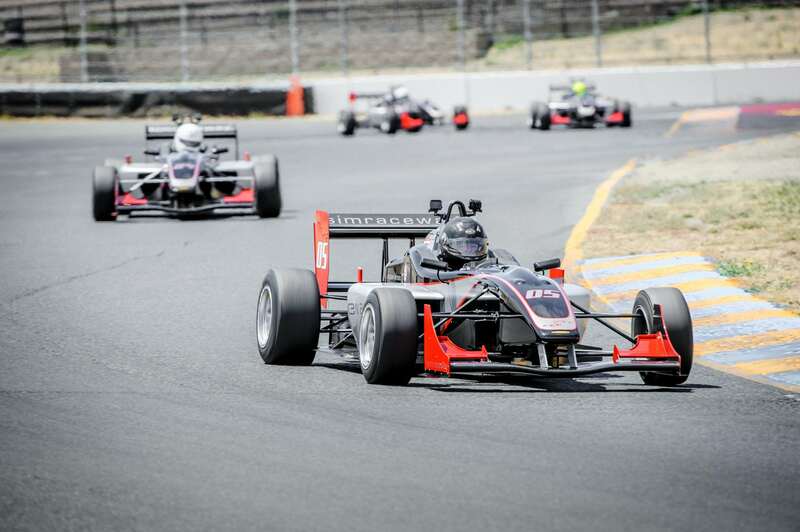 Click here to find out more about the 2015 Simraceway F3 Summer Series. When asked to consider the many challenges laid down by the 11-turn Mazda Raceway Laguna Seca, most racers would immediately point to the infamous Corkscrew. 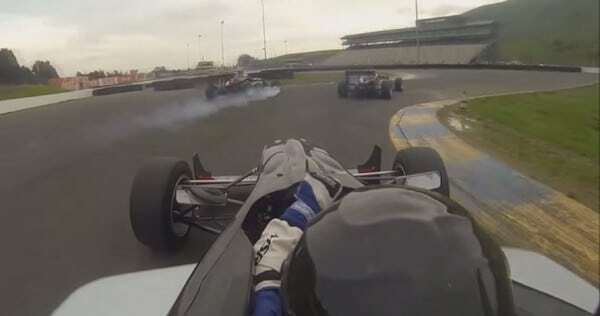 For GoPro cameras strapped to the cockpits of our super-advanced Lola SRW Formula 3 cars, however, it appears every yard of the 2.24-mile circuit is fraught with danger. View the action below to find out how one particular GoPro case met its end. Rest in pieces, old friend! 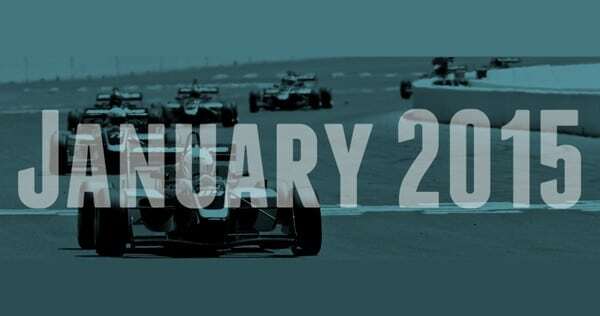 With the Jim Russell F3 Series action taking a break until April, here’s a look back at one of the most entertaining battles from the 2014-15 Winter Series. 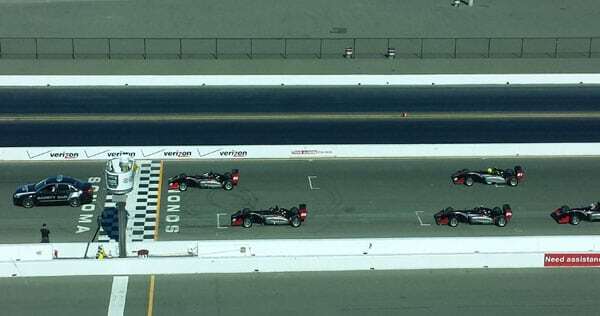 After two of Race 2’s top three qualifiers spun off the track on the first lap at Sonoma Raceway, their chances of winning the race were all-but-over. However it didn’t stop them giving it a damn good try. 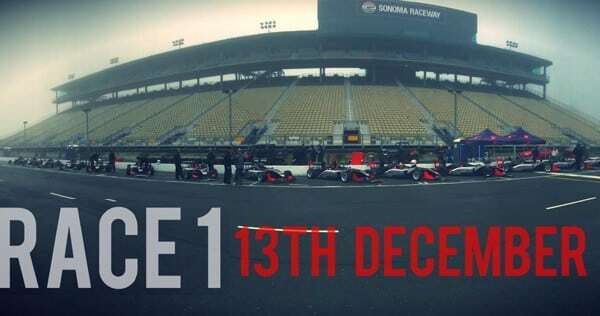 Read an extract from the Race 2 report below, or watch the video as Simraceway‘s Liam Jenkins take you through the action. Round 6—the final race of the Jim Russell F3 Winter Series by Simraceway—saw Kevin Woods claim his second pole position on the trot.With fellow front-runner Chase Murray unable to attend the second race of the weekend, top Championship contender Brian Frank got to see an open track ahead for the green flag in P2. Click here to read a full race report and view the race gallery and leaderboard. Lining up in first place was Kevin Woods, whose mighty effort in the Lola SRW F3 saw him post a time of 1:24.128—a new lap record for the car by a margin of over 3.5 seconds! Alongside him at the front of the grid was Championship leader and winner of the previous two rounds held at Laguna Seca, Chase Murray. The next six drivers qualified within a second of each other, with Brian Frank—a strong finisher in the last round—inside row two. 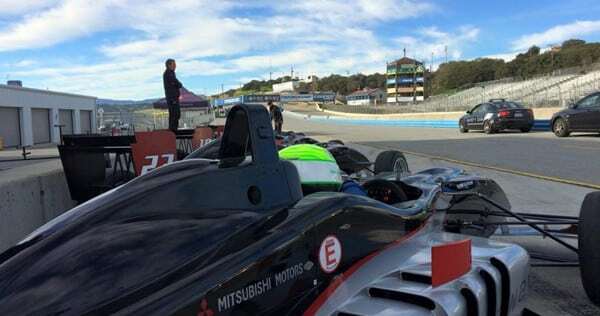 A return to the mighty Mazda Raceway Laguna Seca for the final two rounds of the Jim Russell F3 Winter Series by Simraceway is just around the corner–and it looks like 2014 Summer Series champion, Chase Murray is in the Catbird seat for back-to-back titles. For the rest of the pack, things aren’t quite so straightforward though. Late charger Brian Frank will hope to put in a stronger qualifying and start effort this time so he doesn’t have to pull more last-lap heroics out of the bag. Who knows, maybe a front-row start could see him finally get to dice it up for the lead and stop the Texas Flash from dominating the upcoming races. Biting at Brian’s ankles will be the ever-aggressive Pat Daly, while old sparring partners John Schauerman, Quentin Wahl and Doug Tuttle are always more-than-capable of fighting it out for podium spots. With one weekend and two races at the Monterey facility under their belts, everyone should be ready to go, so it should be quite a show! 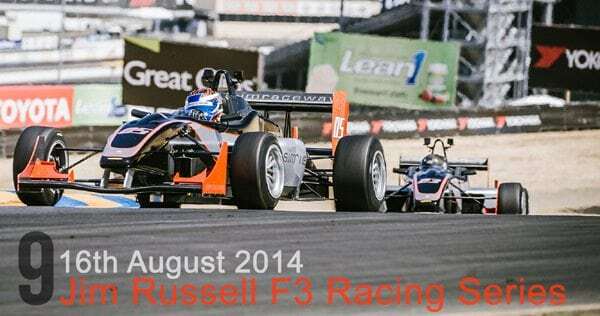 The final two rounds of the Jim Russell F3 Winter Series by Simraceway will take place on February 21 and 22. The third race in the Jim Russell F3 Winter Series by Simraceway saw a very different landscape as this was the inaugural “away” race for the Lola F3 cars and the first in many years for a Jim Russell Championship. A glorious weekend greeted racers and Simraceway crew alike at the world famous Mazda Raceway Laguna Seca. From Zanardi to Andretti Laguna Seca and it’s infamous corkscrew has been a haven for many an epic open wheel battle and now the Jim Russell F3 series drivers would get a taste of it for themselves. Another tight qualifying battle saw the top two, John Jastremski and Chase Murray, fight it out for the entire session–both risking taking the edge of their Pirelli slicks for the race but seeing that P1 start as an important part of standing taller on the podium at the end of the day. Unfortunately an error at turn 2 late in practice meant that Roy Strandberg could not finish off his weekend, but some good strides in competitiveness will give him something positive to build from as the Winter Series continues at Laguna Seca in the New Year. 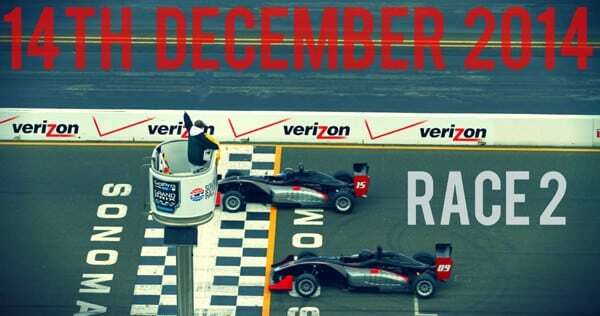 When sign-ups for the Jim Russell F3 Winter Series by Simraceway opened up and were sold out in three days, we knew this was going to be an exciting “off-season”–and so it was! A new influx of drivers was met by the northern California “storm of the decade” in the week leading up to the race weekend, making it difficult to become acquainted with the Simraceway F3 Lola. The tech team was kept busy fixing a couple of missteps by the rookies but all cars were present, shiny and accounted for on the morning of race 1. 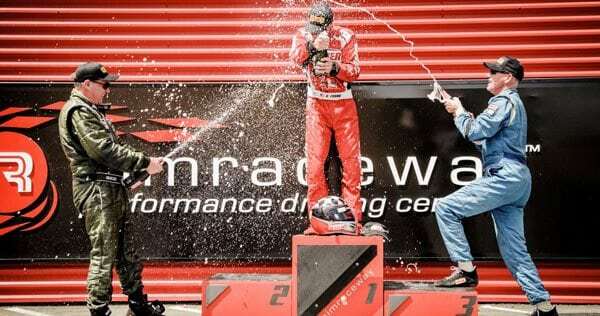 The 2014 Jim Russell F3 Racing Series “Race of Champions” took place at the weekend. Check out our Facebook page for a series of photos from what turned out to be an eventful day. And remember, you can still register for next year’s Jim Russell F3 Racing Series, for ultra-affordable open-wheel racing! 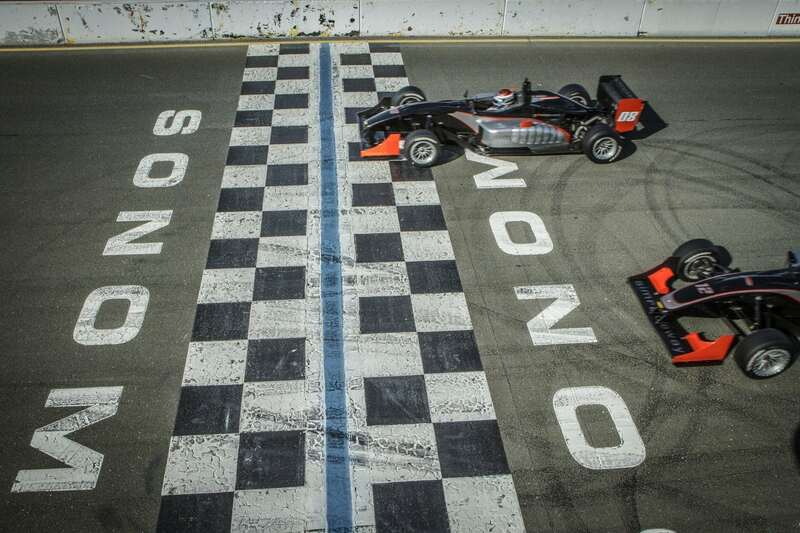 With the 2014 Jim Russell F3 Racing Series over for 2014, this weekend sees the prestigious “Race of Champions” take place around Sonoma Raceway. To stand a chance of tasting the champagne next season, find out how to register for the 2015 series by heading to our dedicated page! It was Round 10–the curtain call for the 2014 Jim Russell F3 Racing Series–and, once again, Chase Murray starred in qualifying with Kevin Woods close behind. The rest of the field was stacked up even more tightly, with an extremely small margin from front to back. 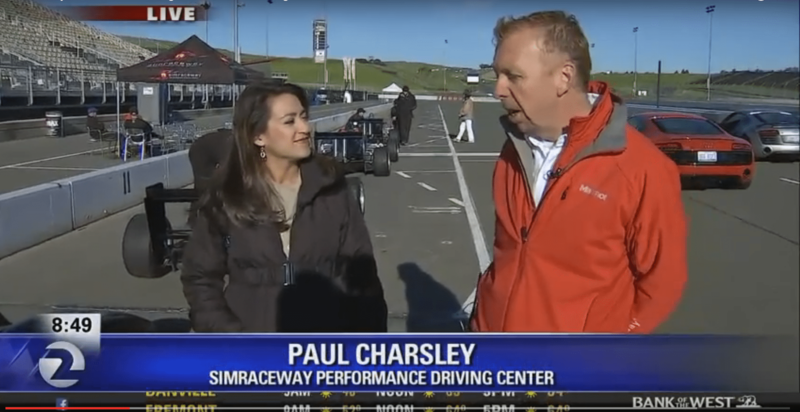 Another hot, sunny Californian day greeted the penultimate round of the 2014 Jim Russell F3 Racing Series at Simraceway Performance Driving Center’s home base of Sonoma Raceway. A full grid was raring to go with arguably the fastest two drivers of the series, Kevin Woods and Chase Murray, ready to go toe-to-toe for top spot. To say race 8 of the Jim Russell F3 Racing Series was exciting may be an understatement, so let’s go with barnstormer! In fact the buzz was high before the race as an extremely tight qualifying session had everyone ready for an action packed event. On the front row were Doug “Ninja” Tuttle and race debutant, and Hammer Nutrition guru, Brian Frank.